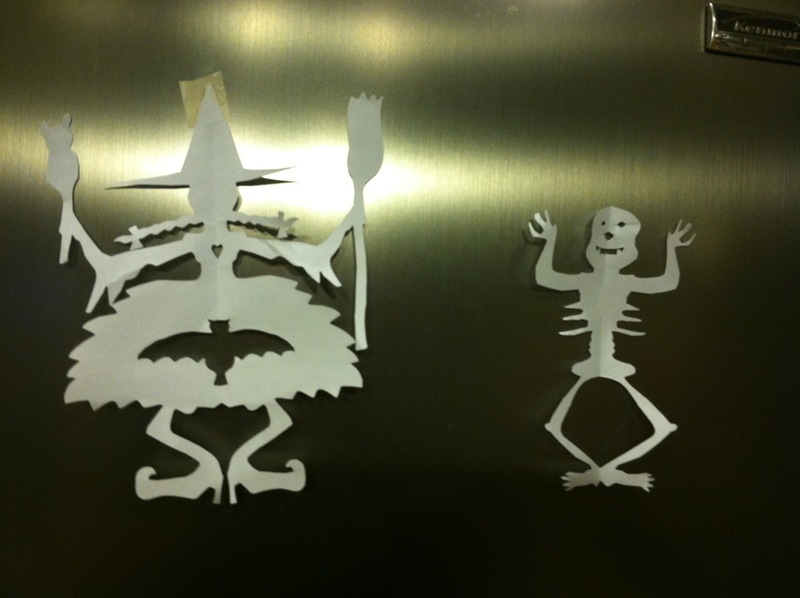 The Cutting Edge – Vampire Maman Has Halloween Fun with Paper! 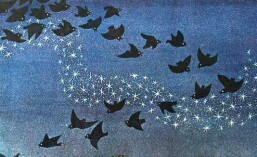 When I was a small girl my mother showed me how to cut simple paper dolls with paper. Since then I’ve been cutting free form paper dolls – just for fun. I don’t draw anything out – I just visualize a costume or character in my head, fold the paper, start at the feet, and cut. As my Halloween treat to you, I’m going to share a few things I quickly cut this morning. It takes 30 seconds to 3 minutes to cut one of these little guys. Happy Halloween. Don’t run with scissors! I’d planned on doing something really scary but Vampire Maman has been really busy lately and my brain is on overload. Vampires can’t be scary all the time and we do a lot more than sleep and drink blood – especially when we have busy teens with school and sports and friends – not to mention the husband, elders, pets, a house to keep up, and a full time job, plus a blog to keep up – you parents out there know how it is…. And sometimes real life can be a horror in itself. The PE teacher who bullies kids (I’m working on that one not trying to get my blood pressure up over it), the elections, the horrible storm on the East coast, and friends who are dealing with health and economic issues right now. But in turn there are the little moments with good people of all kinds that make it good and warm and safe. Thank goodness for that. 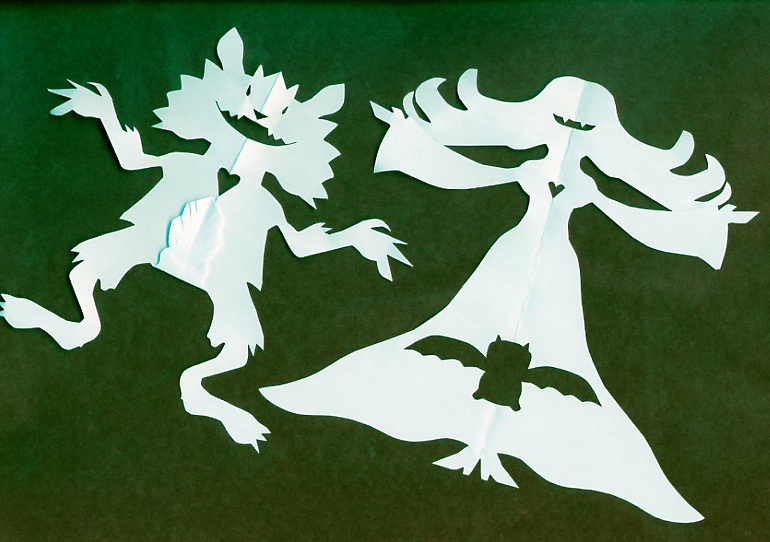 This entry was posted in Crafts, family, Ghosts, Gothic, Halloween, life, Middle School, Monsters, Parenting, Vampire, Vampire Maman, Vampire moms, Vampires, Victorian Fashion, Werewolves, Zombies and tagged cut paper witch, family, ghost, Halloween, Halloween paper cutting projects, hand cut paper, paper craft, paper dolls, scissior, vampire mom, vampires, werewolf, witch. Bookmark the permalink. ← The Most Frightening Thing In The World!!! !